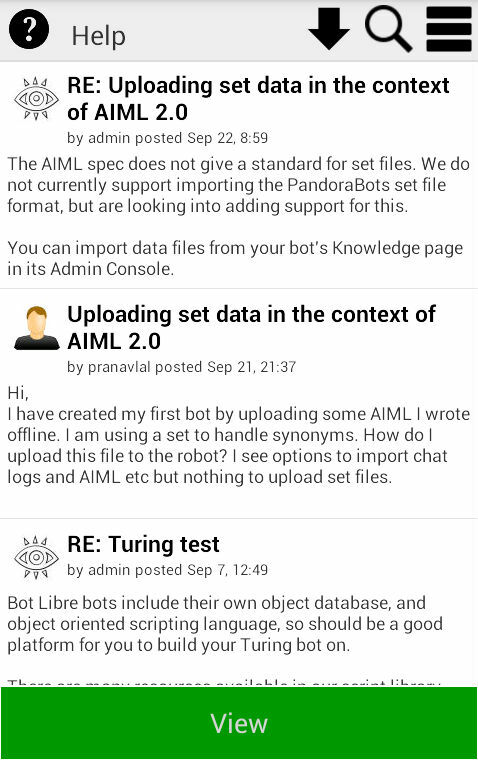 The Bot Libre Android SDK makes it easy to develop your own chat bot app, or add a chat bot to your own app. You can create an app for your business, or to make money from mobile ads and upgrades, or just for fun. Bot Libre's own demo apps have over 1 million downloads on Google Play. You have 4 choices when using the Bot Libre SDK, depending on your functionality requirements and programming ability. Use the complete Bot Libre app or Demo app. You only need to change the bot information, logos, and redeploy the app. Use some of the UI components of the Bot Libre app and customize them to suite your needs (refer to the SDK source code). Use the botlibre-sdk.jar and the SDKConnection Java class. This gives you access to the low level API to build your own app interface (refer to the JavaDoc for more information). 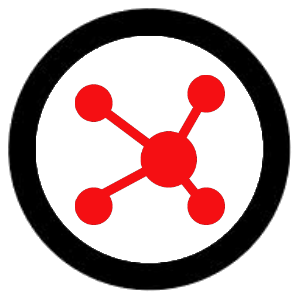 Use the Bot Libre web API directly using HTTP calls and XML (refer to our web API for more information). This "how to" article follows the first method, which is the easiest way to build an app. Although this method requires minimal programming, developing an Android app requires you use and understand Java, Android Studio, and how to build and deploy an Android app. For information on developing Android apps see, developer.android.com. 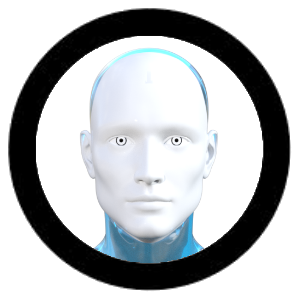 If you are not an Android developer we would recommend Bot Libre's app development service. We can develop you your own app for as little as $100 through our Diamond upgrade, contact sales@botlibre.biz for more information. Android apps are normally developed using Android Studio. 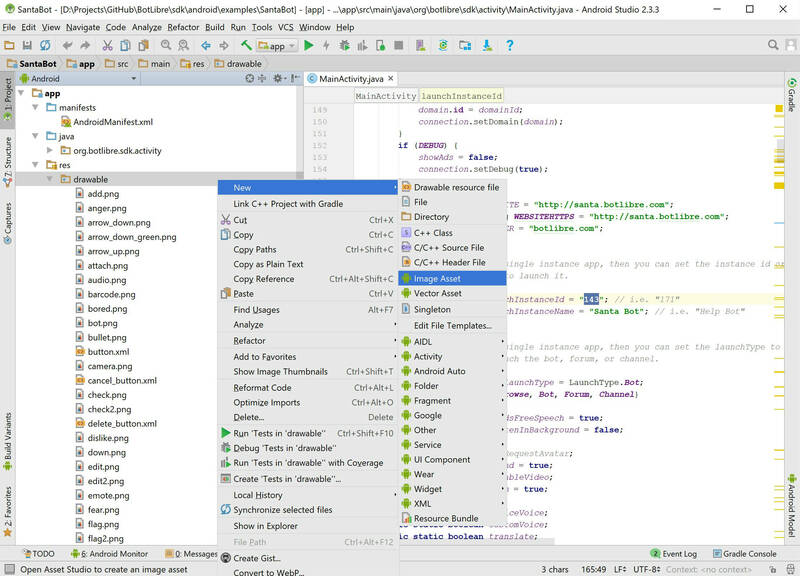 You can download Android Studio here. 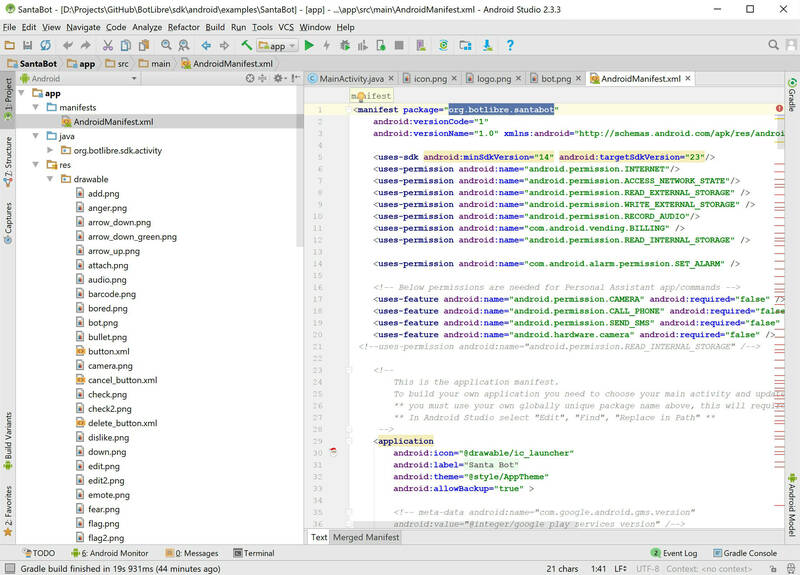 You will need to install Android Studio on your computer, and also install the Android SDK, and an Android emulator. 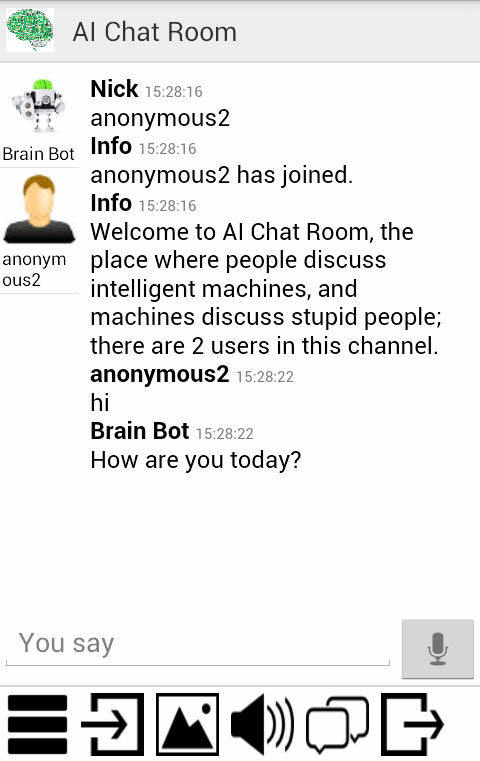 The Bot Libre SDK includes a complete demo chat bot app, with the full source code. You can download the demo "SantaBot" app from GitHub here. 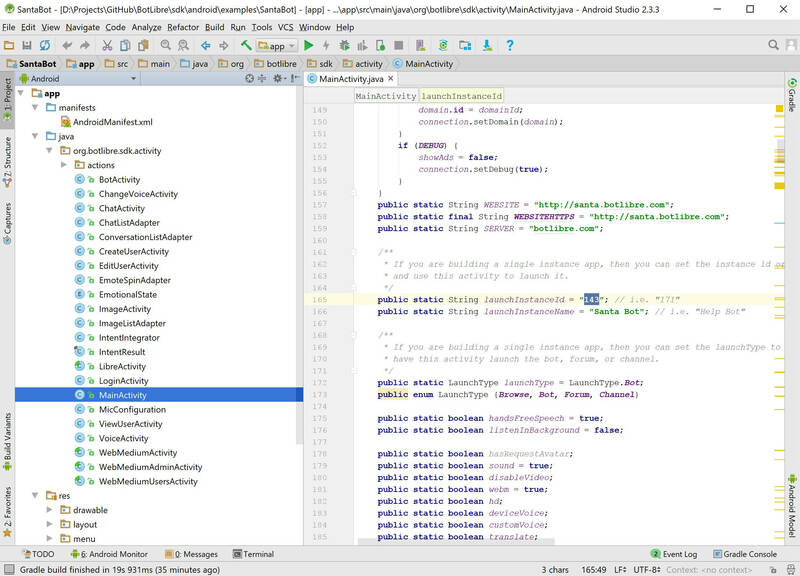 The demo app includes an Android Studio project, so you can open the project in Android Studio. 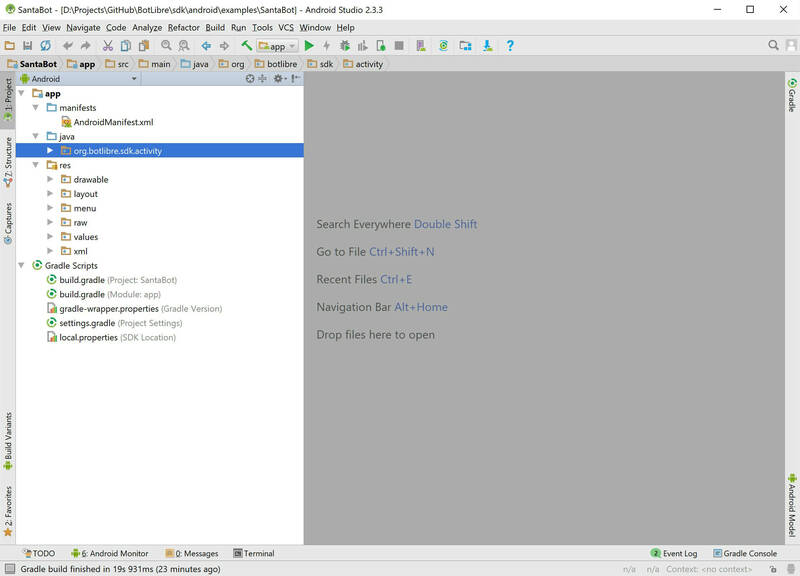 You should be able to build and run the project from Android Studio in the emulator, or on your phone. The demo app uses the "Santa Bot" app. You will want to change it to use your own bot. If you do not have a bot yet, you can create on Bot Libre by following this article. If you go to you're bot's main page on Bot Libre, you can get its "Id" from its "Details" tab. 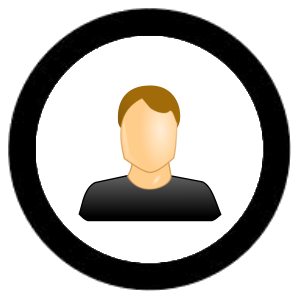 You can also get your user accounts "Application ID" from your "User Details" page. Copy both of these values. Open the "MainActivity.java" file in Android Studio and update the static variables, "applicationId", "launchInstanceId", "launchInstanceName", and save the file. Now when you run your app it should use your bot. Next you will want to change the app's splash image and icon for your own bot. 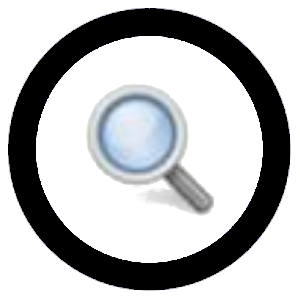 To change the app's icon in Android Studio right click on project or select the menu "File", "New", "Image Asset", and create a new icon for the app. 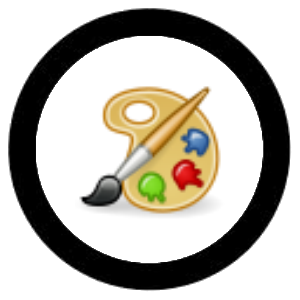 You will also want to update the image files "icon.png", "logo.png", and "bot.png" in the "res" "drawables" directory. 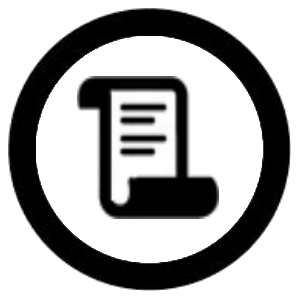 An Android app is defined by its manifest.xml file and application package. You need to choose your own app/package name and update your manifest file. The Android package also affects how the special "R" class is generated in Android. Unfortunately this R class must match the application package, so you need to rename all imports to the "org.botlibre.santabot" package. To do this select the menu "Edit", "Find", "Replace in Path". Enter the old package and the new package and replace all references. You should be able to new build and deploy your new app. You can also build an "apk" file, and upload the file to Android app stores such as Google Play. I changed old package into a new package in R class, but produces an error cannot resolve symbol. To rename the application package you need to change it in the manifest and up all imports in all classes. Android Studio has a "Replace in Path" menu option for updating imports. As i test the microphone on my chat, it only do the turn on and off not working. Which Android app are you using? 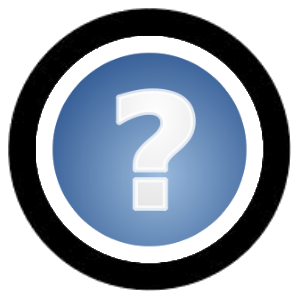 What phone/device are you using, and which Android version do you have installed? Some older phones do not support speech recognition. You can also select the "Microphone Config" menu to test the issue and try switching to the Google speech recognition option. 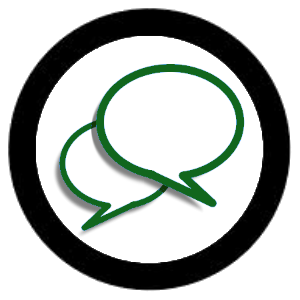 Ensure you have the Google app installed, and have speech recognition enabled on your phone. 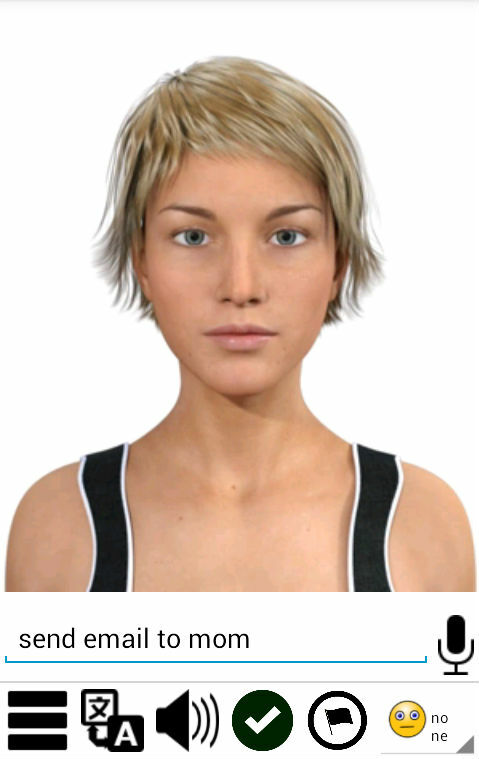 Also some speech recognition requires you have an Internet connection, so ensure you are connected. Also try rebooting the phone, and ensure you accept the microphone permission request. To change the application package in an Android Studio project you need to search in the project path for all references to the package and update them all to the new package. This includes the R imports, the manifest, and some gradle files I believe. Clean and rebuild the project. Sounds like you did not enter a valid package name in your manifest. An Android package name should normally be a reverse domain name, like "com.myproject". I have entered a valid package name. This only happens after i compile and build the project. Under R.java, i tried to remove R.java and clean the project but nothing happens. Or contact sales@botlibre.biz if you would like us to help develop you an app. Okay i can managed this. I am in a hurry this is for my upcoming master thesis defense. As I finalize my project I have noticed errors from full release Android manifest. Invalid package attribute manifest 5454.. as my application Id in merged manifest. I cannot install the app because of this. 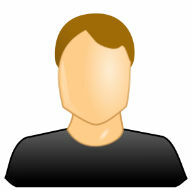 You would need an Android developer to review your app to resolve your build errors. We can help you develop your app, or develop and app for you for Android or iOS. Please contact sales@botlibre.biz for more information. You can also upgrade to our Diamond service, and we can help develop an app for you. I have made my own bot but i would like to customized with my own bot with login page only. How to begin with? be patient they will get to you.you are going to have to wait a while jyambz. I have started customizing the layout, the problem is the code.After editing the layout suitable to my needs there's a lot of errors .